The Sequence is the first-ever pattern ship in the ElectriFly line – and it's like no other pattern ship you've ever seen before. The airframe is exceptionally strong and ultra-light, to make the most efficient use of a brushless motor and LiPo power. Its performance benefits from features drawn from today's most competitive custom ships. In looks and performance, it's the equal of much larger pattern competitors at home or abroad, as well as a clear winner in modern assembly ease. Engineered for crisp response, smooth handling and straight-as-a-string tracking. No expense has been spared in engineering a spirited performer that even the most discriminating pilot will appreciate. Designed with a prebuilt motor box, self-aligning wheel pants and more!. 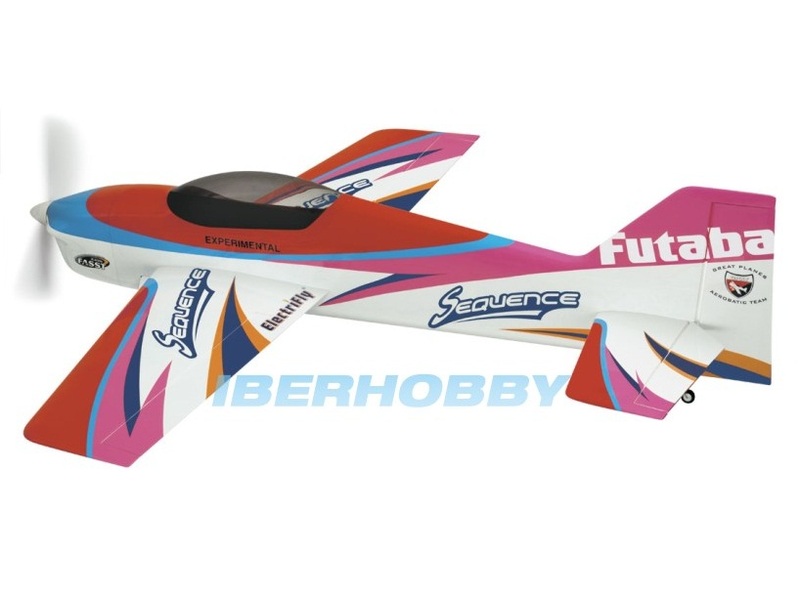 SPECIFICATIONS: Wingspan: 50 in (1270 mm). Wing Area: 505 in² (32.6 dm²). Weight: 3.5-3.75 lb (1590-1700 g). Wing Loading: 16-17 oz sq/ft (49-52 g/dm²). Length: 51.5 in (1310 mm). Requires: 4-channel radio w/4 micro servos, 800kV outrunner brushless motor, 45A ESC (min) & 14.8V mAh LiPo battery.